Nature of Neutral is a developing series of paintings in which Hunter examines the synergistic relationship of polar opposites. Hunter applies acrylic with methods of mural making by means to mimic it's inherent flat nature. This strategy paired with moments of exposed linen, initiates what he considers an "opposing textural romance". Hunter sustains intimate perspectives of peculiar, geometric architectural forms indicative of the post modern movement which question how architectural spaces shape our lives and informs our sense of self. Derek Hunter (b. New York City, 1988) is an entirely self-taught painter, sculptor and muralist. His work explores the language of architecture as a means to challenge expectations around site-specificity and urban construction. 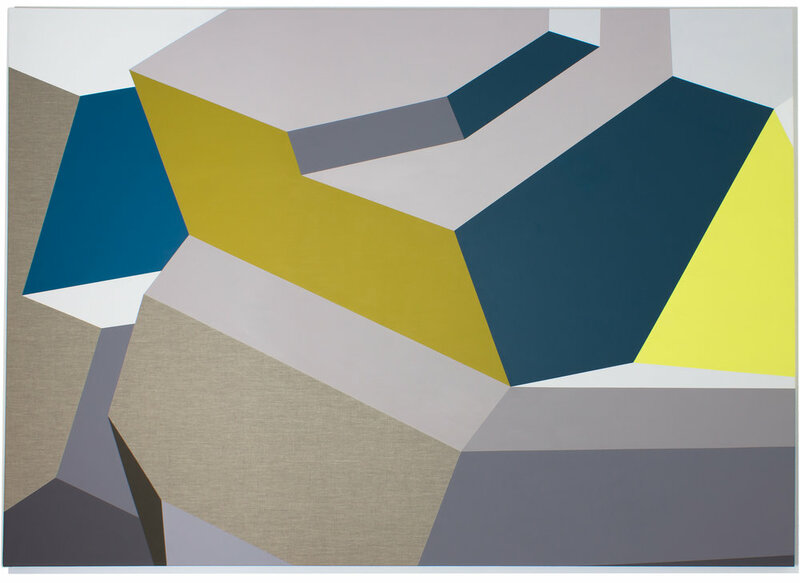 Recent group exhibitions include: "Complements & Dichotomies" curated by Young Artist Initiative, "Form As Context" at the Phillip & Patricia Frost Art Museum, and"Local Geometry" at Artium Gallery. Forthcoming exhibitions include HistoryMiami Museum in 2019. Hunter currently works and resides in South Florida.